1989. It was the end of a decade, and the gaming scene was evolving. 8-bit was giving way to a new wave of 16-bit consoles. However, gamers were wanting to take the fun on the road. Nintendo introduced the Game Boy in the summer of 1989, but Atari was quickly on their tail with their own portable system that was technically superior. It was...The Atari Lynx. The Atari Lynx was designed and developed by Epyx, Inc. However, few realize that the process actually started all the way back in 1986. The design of the console finally became complete in 1987, two full years before it was released. However, Epyx had some difficulties getting anyone to manufacture the unit. Epyx first talked to Nintendo, along with Sega. Nintendo declined due to the fact that they were working on their own Game Boy system. Later, Atari Corp. found interest in the device, and entered an agreement with Epyx to mass produce the portable console. Unfortunately, when Atari finally took on the unit, Epyx went bankrupt a year later. This is unfortunate due to the fact that Epyx was going to handle software development. In the end, everything regarding the Lynx became Atari's responsibility...including having to purchase Amiga computers from their corporate rival, Commodore, to develop for the console. Released to the market on September 1st, 1989 for US$179.99 ($355.40 today). The unit is a 16-bit custom CMOS chip running at approximately 16 Mhz. The display was 160 x 102 with 16,320 addressable pixels. As with most consoles of the era, it used small cartridges (cards) that offered 128, 256, and 512 KB of space. 2MB is possible with bank-switching logic. One of the major issues that plagued the handheld was its overwhelming size. It was not small enough to easily fit in a pocket. 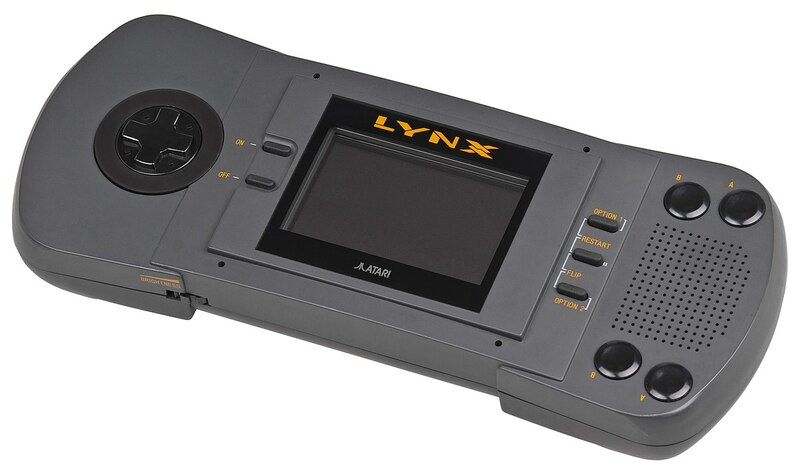 The revised version of the Lynx, aka Lynx II, was still large and cumbersome in comparison to the original Game Boy design. The unit also ate through batteries. Version 1 was about 4 to 5 hours of play time, whereas the Lynx II was 5 to 6 hours on six AA batteries. The system did have some merits, however. Audio was superior to the Game Boy's thanks to the 4 channels with 8-bit DAC per channel. The screen was full color, and backlit. It offered a palette of 4096 colors, and display 16 simultaneously. More than the 16 colors could be displayed by changing palettes after each scanline. When it came to actual games for the Atari Lynx, developers were not eager to support the system. First off, the market was already well attached to the Game Boy by the time the Lynx first appeared. This left a large swath of game development in the hands of Atari, itself. Secondly, the Game Boy battery life offered anywhere between 15 to 30 hours on four AA batteries. By 1995, Atari decided that it did not want to focus on two systems on the market. Atari ended the run of the Atari Lynx, and began fully focusing on the Atari Jaguar. 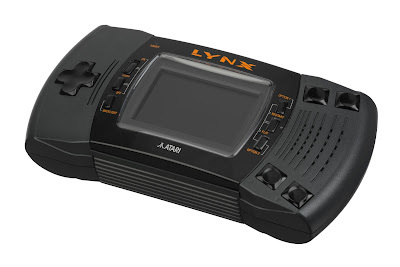 The Atari Lynx, much like many Atari consoles today still enjoy a thriving homebrew community that releases new games every so often. Emulation for the system never really took off, as there is only one true emulator dedicated to the system titled "Handy", which is based off the system's internal prototype name "Handy Game". 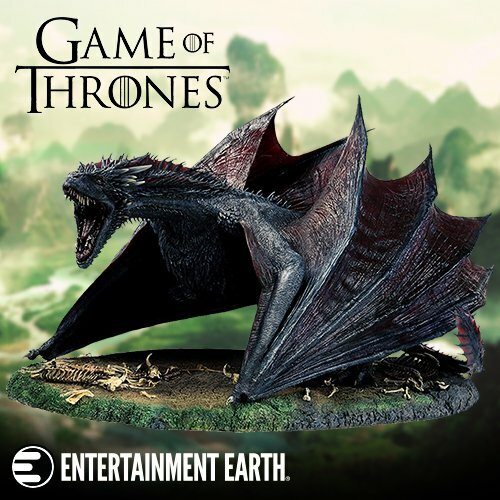 You can easily find the unit in online auctions for about US$100, and many are being modded with a modern LCD display offering a superior visual experience without sacrificing the units authenticity.